Strange Human Brain With No Wrinkles Found, Baffling People Everywhere! While going through an old closet at the University of Texas something truly fascinating and mysterious was uncovered. While it might look disgusting to most it is still truly like nothing most have ever seen before. Adam Voorhes (photographer) was taking photos of shelves of human brains stored within this closet when he found a brain that had no folds. This brain is completely lacking sulci and is quite rare. This kind of thing happens when a person has a condition known as lissencephaly. 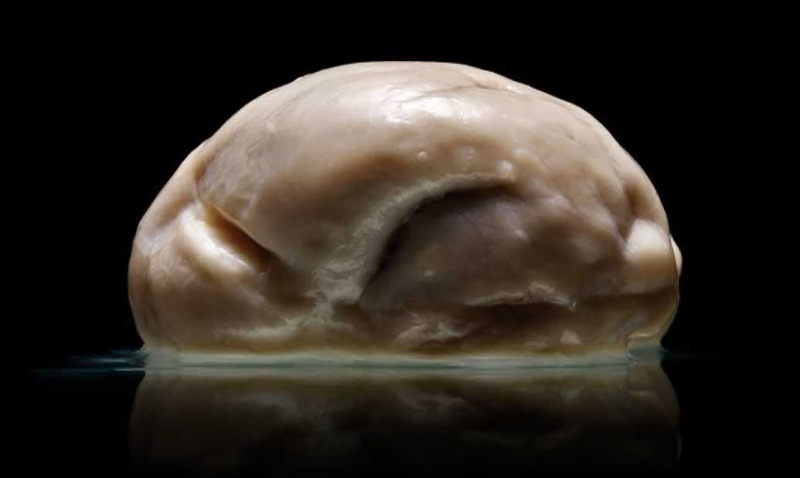 All we know about the person this brain may have come from is that he or she was a resident of North Texas State Hospital (a mental health facility) and passed away there at some point in the 1970s. This patients medical history has been lost for a while now and as far as figuring out who he or she was, we may never truly be able to. The condition to this extent is quite shocking and considering where the person ended up perhaps had some kind of effects on his or her mind. People who have the condition that causes this usually do not live past the age of ten and usually have muscle spasms, seizures, and learning problems of all sorts. For over 20 years these brains had been locked away in a dark closet. The University of Texas since the uncovering of this brain have been working on documenting it properly. They are working with an MRI scanner and it will once finished be put on display for all to see. To learn about why and how the brain gets its folds feel free to check out the video below.